The new building, our fourth project at the School, was officially opened with a concert in the Mark Elder Auditorium earlier this month. 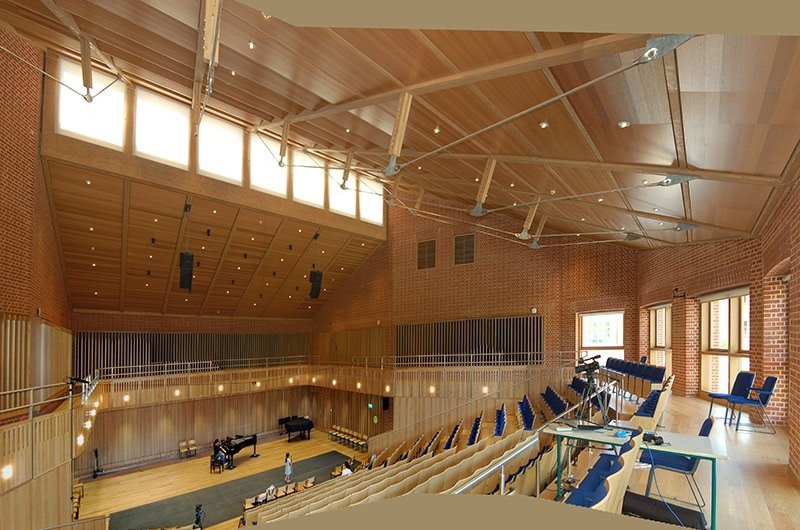 It sits next to our Sanger Centre for Science and Mathematics and the Grade I-listed Norman Shaw house to the west, and features a 300-seat auditorium along with rehersal, practice and teaching spaces. The significant level change across the site is taken advantage of by situating the music department in an embedded, semi-basement area that opens out onto the building's courtyard.